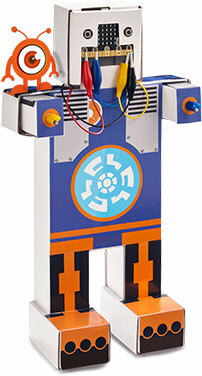 Dimm robot is a fun to play with and even helps the children learn the code as they play with it. 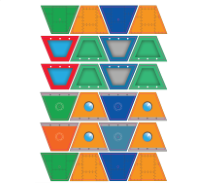 BinaryBots are affordable card robot kits that bring Computing and STEM to life with the BBC micro:bit. They allow every KS2 and KS3 child to build their own robot making learning to code and STEM a much more interactive and individual experience. The DIMM Coding Robot w/ micro:bit is the amazing new smart toy robot everyone wants. Kids love him because he's funny and he teaches them to code. This kit comes with Dimm the robot (foldable design), some fun sensors and a BBC micro:bit computer. It can detect motion and tell you which direction you're heading in. 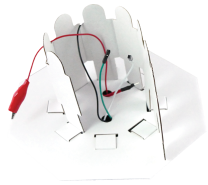 Create anything from a motion detecting security robot to a temperature or light sensing science experiment - the possibilities are endless! 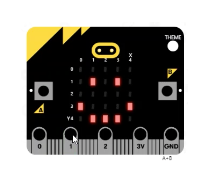 This kit includes one of the latest innovations for kids, a brand new BBC micro:bit pocket-sized computer. 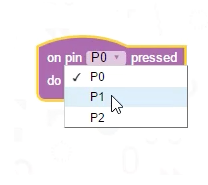 Designed by the BBC to help schools teach coding; the skill of the digital generation. Simply connect it to a PC or Mac using the mini USB cable supplied. It works with tablets and smartphones using Bluetooth. No complicated software needed - just write code on a web page using Block Editor. Simply connect the sensors included in the kit and your robot comes alive. It can detect motion and tell you which direction you're heading in. 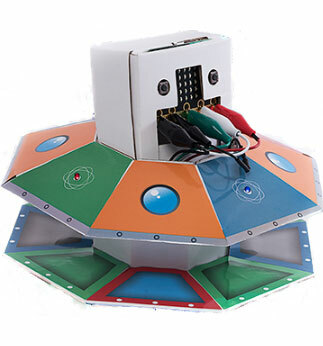 Create anything from a motion detecting security robot to a temperature or light sensing science experiment - the possibilities are endless!